Well gang it is that time again when we have to shut down Ray’s Daily for a while. The staff needs a break, the presses need maintenance and the writer needs to hibernate for a week or so. So we’ll do it all at once and close down the shop. I also will take an extra day or two for some needed minor surgery which will allow me to get some rest. If you don’t mind some history you can always go to Ray’s Daily on WordPress where there are a couple of thousand back issues stored. While I am on my short sabbatical I would appreciate it if you would do all you can to restore some civility in our world that lately seems to prefer anger and vitriol to dialogue. Stopping a few wars, feeding a few million starving kids would also be good if you have the time. Oh yes and by all means stay well, have fun and be kind I need you to be here when I get back. 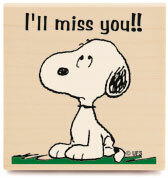 I will only say please farewell while I am away, goodbyes are not easy but they are better when they are only temporary. Sadly I am at an age when many leave the scene never to return and we are left to live with the aftermath of unsaid goodbye. When that happens I find the following to be helpful. 1. Focus on the positive. Looking back at the time spent with colleagues, it’s oddly tempting to zero in on the people who were not positive, who made working with them difficult and irritating. It might be a trick of the mind that urges us to look at what we won’t miss so we don’t feel so down about what will miss, but don’t forget to focus on the positive. Think of the good times you had with those you’re saying goodbye to and remind them of those positive experiences when you go. 2. Embrace the present. Saying goodbye often causes us to think back on the past — both the good and the bad — and dwell on it. We want to cling to the good times or feel slighted by the bad times. But life — and goodbyes — is too short for that. Don’t allow yourself to dwell on what was. Instead, focus on what is. Be grateful for where you are today and encourage others to do the same. 3. Share your sadness. It’s okay to be sad about leaving. Don’t feel like you have to keep all of this to yourself. Find a colleague or friend you can talk to and express how you’re feeling. Others might be feeling the same way and appreciate your openness — and you will release some of the burden once you open up and share your emotions with others. Change of any kind can be intimidating, but we don’t have to face it alone. Don’t underestimate or ignore your emotions. Embrace them, address them, and share them in order to overcome them. 4. Exit with grace. Say goodbye to those who meant the most to you. Move forward to the present and do not dwell on negative interactions you have had in the past. I edited this piece that I saved from the Positively Present blog where the author frequently shares her heart. It begins when you sink into his arms and ends with your arms in the sink. I suppose some degree of commerce would grind to a halt if telephone solicitors weren’t able to call people at home during the dinner hour. But that doesn’t make it any more pleasant. Now Steve Rubenstein, a writer for the San Francisco Chronicle, has proposed “Three Little Words” based on his brief experience in a telemarketing operation — that would stop the nuisance for all time. The three little words are “Hold on, please.” Saying this while putting down your phone and walking off instead of hanging up immediately — would make each telemarketing call so time-consuming that boiler rooms would grind to a halt. When you eventually hear the phone company’s beep-beep-beep tone, you know it’s time to go back and hang up your handset, which has efficiently completed its task. He’ll look after you and protect you.” The little boy looked at his mother real hard and asked, “Are you sure he’s out there?” “Yes, I’m sure. He is everywhere, and he is always ready to help you when you need him,” she said. The little boy thought about that for a minute and then went to the back door and cracked it a little. Peering out into the darkness, he called “Jesus? If you’re out there, would you please hand me the broom? One of the things that really gives me pleasure is hearing from a reader of the Daily, especially if it is a message from an old friend. A couple of days ago I got the following from someone I met on a New England cruise more than fifteen years ago. We were table mates with our spouses, my wife’s sister and her husband and three really fun ladies, one who was about 90. My friend Lewis, his wife Patsy and one of the gals, Claire have stayed in touch all these years. I haven’t seen them since our cruise since all live far from my city but every time I hear from one of them it takes me back to our great time together. They haven’t aged even a week in my memory and those memories are heartwarming as well as entertaining. Please read the note I received carefully for it has a number of messages that need to be savored. Next Monday is a national holiday in the US so many of you will have a long weekend, it would be a great time to follow the advice that my friend Lewis has allowed me to share with you. Good Morning. I just wanted to say: Have a Wonderful Day. !!!!! Too many people put off something that brings them joy just because they haven’t thought about it, don’t have it on their schedule, didn’t know it was coming or are too rigid to depart from their routine. Because we cram so much into their lives, we tend to schedule our headaches.. We live on a sparse diet of promises we make to ourselves when all the conditions are perfect! Now…go on and have a nice day. Do something you WANT to do…not something on your SHOULD DO list. If you were going to die soon and had only one phone call you could make, who would you call and what would you say? ;And why are you waiting? Have you ever watched kids playing on a merry go round or listened to the rain lapping on the ground? Ever followed a butterfly’s erratic flight or gazed at the sun into the fading night? Do you run through each day on the fly? When you ask ‘How are you?’ Do you hear the reply? When the day is done, do you lie in your bed with the next hundred chores running through your head? Ever told your child, ‘We’ll do it tomorrow.’ And in your haste, not see his sorrow? When you worry and hurry through your day, it is like an unopened gift….Thrown away…. Life is not a race. Take it slower. Hear the music before the song is over. Show your friends how much you care. Send this to everyone you consider a FRIEND including me if you consider me a friend. If it comes back to you, then you’ll know you have a circle of friends. To those I have sent this to … I cherish our friendship and appreciate you. Twenty four brand new hours are before me. If you humiliate yourself, be consoled with the thought that you probably made someone else’s day…maybe even their week. Think of your humiliation as an act of charity. Avoid marrying anyone who deliberately flushes the toilet when you’re taking a shower. The value of a cat is its utter indifference to its owner’s importance. Never purchase a tool to clean behind radiators, because you won’t have an excuse not to clean there. Don’t waste time trying to be your own best friend; you can’t pat yourself on the back, and it’s unsatisfying to cry on your own shoulder. Find a real friend instead. “This should be taken care of right away.” I’d planned a trip to Hawaii next month but this is so easy and profitable that I want to fix it before it cures itself. “Welllllll, what have we here…?” He has no idea and is hoping you’ll give him a clue. “Let me check your medical history.” I want to see if you’ve paid your last bill before spending any more time with you. “I’d like to prescribe a new drug.” I’m writing a paper and would like to use you for a guinea pig. “If it doesn’t clear up in a week, give me a call.” I don’t know what it is. Maybe it will go away by itself. AVOID “WOO-WOO” PRACTICES. Ignore the evidence suggesting that meditation, yoga, deep breathing, and/or mental imaging help to reduce stress. GET RID OF YOUR SOCIAL SUPPORT SYSTEM. Let the few friends who are willing to tolerate you know that concern yourself with friendships only if you have time, and you never have time. If a few people persist in trying to be your friend, avoid them. Accept everything about yourself–I mean everything, you are you and that is the beginning and the end–no apologies, no regrets. Yesterday and today are loaded with meetings and opportunities for service all which take place soon after my 5 AM workouts. I looked on my things-to-do list and reviewed my calendar and was disappointed to find that I had not allocated anytime to think so I will share with you thoughts from back in the day. Stop All Criticism – Criticism never changes a thing. Refuse to criticize yourself. Accept yourself exactly as you are. Everybody changes. When you criticize yourself, your changes are negative. When you approve of yourself, your changes are positive. Don’t Scare Yourself – Stop terrorizing yourself with your thoughts. It’s a dreadful way to live. Find a mental image that gives you pleasure (mine is yellow roses), and immediately switch your scary thought to a pleasure thought. Be Gentle And Kind And Patient – Be gentle with yourself. Be kind to yourself. Be patient with yourself as you learn the new ways of thinking. Treat yourself as you would someone you really loved. 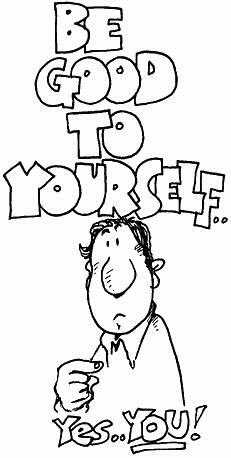 Be Kind To Your Mind – Self-hatred is only hating your own thoughts. Don’t hate yourself for having the thoughts. Gently change your thoughts. Praise Yourself – Criticism breaks down the inner spirit. Praise builds it up. Praise yourself as much as you can. Tell yourself how well you are doing with every little thing. Support Yourself – Find ways to support yourself. Reach out to friends and allow them to help you. It is being strong to ask for help when you need it. Be Loving To Your Negatives – Acknowledge that you created them to fulfill a need. Now, you are finding new, positive ways to fulfill those needs. So, lovingly release the old negative patterns. Take Care Of Your Body – Learn about nutrition. What kind of fuel does your body need to have optimum energy and vitality? Learn about exercise. What kind of exercise can you enjoy? Cherish and revere the temple you live in. Love Yourself .. Do It Now – Don’t wait until you get well, or lose the weight, or get the new job, or the new relationship. Begin now — and do the best you can. 2. It’s called a ‘gravel road’, No matter how slow you drive, you’re going to get dust on your car. 4. Any references to “corn fed” when talking about our women will get you whipped… by our women. 5. Go ahead and bring your $600 Orvis Fly Rod. Don’t cry to us if a flathead catfish breaks it off at the handle. We have a name for those little trout you fish for…bait. 7. If that cell phone rings while a bunch of mallards are making their final approach, we will shoot it! You might hope you don’t have it up to your ear at the time. 8. That’s right. Whiskey is only two bucks. We can buy a fifth for what you paid in the airport for one drink. 9. No, there’s no “Vegetarian Special” on the menu. Order steak. Order it rare. Or, you can order the Chef’s Salad and pick off the two pounds of ham and turkey. 10. You bring Coke into my house, it better be brown, wet, and served over ice. 11. So you have a sixty-thousand dollar car you drive on weekends. We’re real impressed. We have a quarter of a million dollar combine that we use two weeks a year. 12. Let’s get this straight. We have one stoplight in town. We stop when it’s red. We may even stop when it’s yellow. 13. Our women hunt, fish, and drive trucks–because they want to . So, you’re a feminist. Isn’t that cute. 14. Yeah, we eat catfish. Carp, too–and turtle. You really want sushi and caviar? It’s available at the bait shop. 15. They are pigs. That’s what they smell like. Get over it. Don’t like it? Interstates 70, 80, & 90 go two ways—Interstates 29, 35, & 69 go the other two. Pick one and use it accordingly. 16. The “Opener” refers to the first day of deer season. It’s a religious holiday. You can get breakfast at the church. 17. So every person in every pickup waves. It’s called being friendly. Understand the concept? 18. Yeah, we have golf courses. Just don’t hit in the water hazard. It spooks our fish. 19. That Highway Patrol Officer that just pulled you over for driving like an idiot…his name is “Sir”…no matter how old he is. “And how do you explain this unusual conduct?” the judge inquires. If you don’t have wrinkles, you haven’t laughed enough. You may have heard the old joke about Shirley, the Jewish mother in NYC, who brought her 6 year old boy to the psychoanalyst, who diagnosed: “Nothing much wrong with your son, just a slight Oedipus complex. As many of you know I am actively involved in the Indianapolis senior community. And as the years have gone by I have been inspired by how folks who are well up in years have continued to stay vibrant by staying involved in so much of what goes on in my city. I think they would answer the question made famous by Satchel Paige, “How old would you be if you did not how old you are?” with a substantially younger age than their birth age. Recently I was in discussion with a friend who provides opportunities for the golden age set to get involved in our town while having fun in the process. We talked about how there are so many things that we can do to replace the things we can no longer do that there is no reason to ever just drop out and stagnate. What is really great is that we often experience some of the best times of our lives. New friends, active theatre going, a multitude of volunteer opportunities, new learning experiences and more have all made much of my recent past some of the finest years of my life. My coach/trainer said not too long ago that far too many people my age spend so much time finding reasons and excuses not to do things that they never take the time to discover the alternatives. What surprises me is that I am finding out even at my age that I can now do things that I could never do before. I am having fun, are you? 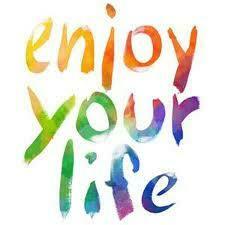 If not then read what Ralph Marston has to say about getting more out of your life. You do not grow old simply by living a certain number of years. You grow old only when you stop filling those years with new substance and value. Don’t spend all your time and energy merely confirming again and again what you already know. That will make you too old too soon. Instead, put your effort and energy into learning, discovering and experiencing what you do not yet know. That will keep your life young, fresh and vibrant, even as the years continue to progress. There are all kinds of new things you can learn today. There are all sorts of great ways to challenge your assumptions and increase your wisdom. If you think you know it all, you’re cheating yourself out of the opportunity to continually build upon your knowledge. If you refuse to challenge your beliefs, those beliefs will begin to imprison you rather than support you. Treasure the knowledge you possess and all the rich experiences you’ve had. Then get up, get out there and get a whole lot more. I had lunch with a friend yesterday who is leading an effort to show young children that good food and healthy lifestyles can be fun besides being good for you. She recruits volunteers to work with the children in schools, day camps and clubs. 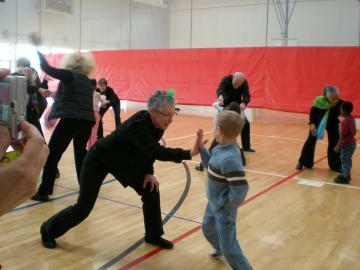 Older folks join with the kids for one hour a week for eight weeks not just running the events but actually partnering with the kids to make the experience rewarding to both the kids and the adults. It is true that the program benefits the kids and works to minimize their growing into obese adults and so from a societal standpoint it is worthwhile. But for me an equal benefit is the opportunity for the adult volunteers to reap the reward of being able to do something that is fun, intergenerational and friendship generating. Too many of the people in my generation just sit on the sidelines and let life pass them by. Fortunately there are people like my friend who stands up and hollers “Come on in everyone, join the fun.” Even if you or I help only one child live a happier and healthier life we will have left a legacy that most never get a chance to leave. In truth my friend is a guide that can lead us to a place where we can do good things and reap the rewards we get internally when we can end our day saying to ourselves “You did well today” and for me there is nothing better than that. Here is a piece that I like about our ability to experience some of the joy that is open to us all. As we seek and eventually recognize our highest purpose in life, we experience an inner peace. This peace allows us the freedom to be true to ourselves, forgive the past, and live with authentic joy. When we are true to ourselves… we recognize our limitations while making use of our strengths. We strive to do our best instead of comparing ourselves to others. We share confidence, respect, and selfless service with others, knowing that we are living according to our deepest values. We are using the unique gifts that God has given to us. When we forgive the past… we recognize the freedom to learn and grow, acknowledging room for new growth each day. We know that we cannot change yesterday, but we can live the rest of our lives in inspiring ways. We drop the burdens of bitterness and guilt. We allow ourselves the freedom to live with integrity, have compassion, to share, and to love. When we live with authentic joy… we find that kindness in our giving creates love that spreads far beyond our actions. We see that true joy comes from a spiritual connection with a source greater than ourselves, that our life ultimately belongs not to us, but to God who created us. We know that our joy does not come from external circumstances; it is a living fire within our hearts. We can find our highest purpose, first by seeking with an open mind and heart. Then, when we begin serving others in ways that bring us the greatest joy, our highest purpose becomes apparent. Live in joy today, and know that the blessings of living your highest purpose will increase abundantly throughout your life. By inspirational journalist Maria Dillion. Have you ever seen a horseful carriage or a strapful gown? Or met a sung hero or experienced requited love? Have you ever run into someone who was gruntled, ruly or peccable? And where are all those people who ARE spring chickens or who would ACTUALLY hurt a fly? I hope your weekend went well, mine did. I think one of the reasons it did was there were no unhappy people sharing their woes and asking for the secret of happiness. When I tell folks who spend their days in anger or regret that in my mind happiness is mostly a matter of choice they usually don’t believe me. I wish there was a magic potion or spell that would lift their burdens but I don’t know of any. What struck me today is that we all would benefit by getting a little happiness training. 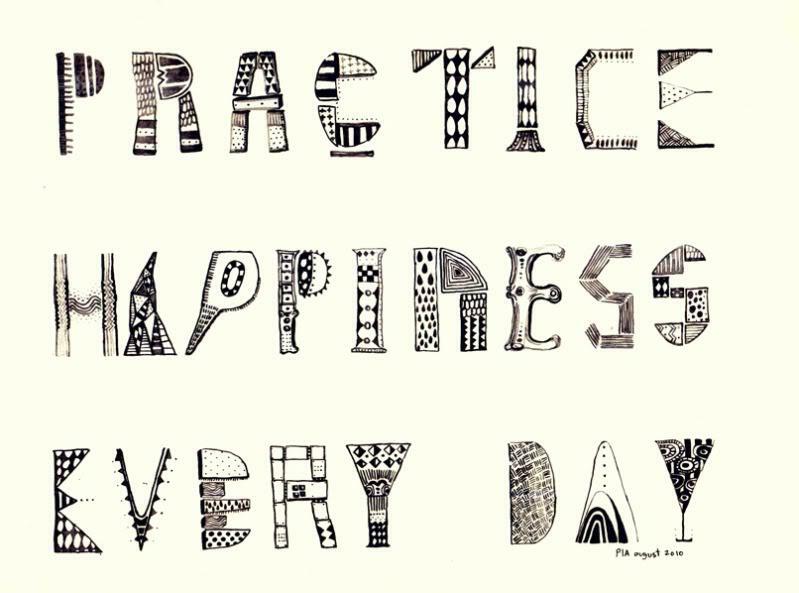 Just like my current strength training where the more I exercise the stronger I get, I suspect that the more we practice happiness the happier we will be. With that thought in mind I went to the net and found the following on Wikipedia that outlines some happiness exercises we can add to our daily lives. I love being happy and I love being with happy people. I’ll try and do my part, I hope you will too. So happiness – isn’t that the thing that all of us strive to find and keep? Nobody is happy all of the time, but some people are definitely more fulfilled than others. Studies on what makes people happy reveal that it doesn’t have much to do with material goods or high achievement; it seems to whittle down to your outlook on life, and the quality of your relationships with the people around you. Stay close to friends and family: Or move to where other members are- so you can see them more. We live in a mobile society, where people follow jobs around the country and sometimes around the world. We do this because we think increases in salary will make us happier, but the fact is that our relationships with our friends and family have a far greater impact on our happiness than our jobs do. Have deep, meaningful conversations. A study by a psychologist at the University of Arizona has shown that spending less time participating in small talk and more time having deep, meaningful conversations can lead to an increased feeling of happiness. Find happiness in the job you have now: Many people expect the right job or the right career to dramatically change their level of happiness, but happiness research makes it clear that your level of optimism and the quality of your relationships eclipse the satisfaction you gain from your job. If you have a positive outlook, you will make the best of any job, and if you have good relationships with people, you won’t depend on your job to give your life a greater sense of meaning. You’ll find it in your interactions with the people you care about. Now that doesn’t mean you shouldn’t aspire towards a job that will make you happier; it means you should understand that the capacity of your job to make you happy is quite small in comparison to your outlook on life and your relationships with people. Smile: Science suggests that when you smile, whether you feel happy or not, your mood will be elevated. So smile all the time! In addition, having enough money to pay the bills allows you to focus your energies on more productive aspects of your life, such as the pursuit of happiness as opposed to keeping the ‘wolves from the door’. Forgive: In a study of college students, it was found that an attitude of forgiveness contributed to better cardiovascular health. You could say that forgiveness literally heals your heart. While it is unknown how forgiveness directly affects your heart, the study suggests that it may lower the perception of stress. Make friends who share your interests or faith: If church itself is not your thing, consider finding something else you’re deeply passionate about and making friends who you can connect with regularly based on that. A doctor was awakened at four in the morning by a caller who demanded to know how much he charged for a house call. “Twenty-five dollars,” muttered the sleepy physician. “How much is an office visit?” demanded the caller. Lord, if I can’t be skinny, let all my friends be fat. My boss’ wife Sherry was exasperated with her younger sister, who bought an unreliable car and called for a ride every time it broke down. One day Sherry got yet another one of those calls. “What happened this time?” she asked. A woman sees a beautiful tennis bracelet in a jewelry store window. She goes in and asks the clerk if a small deposit will hold it until her husband does something unforgivable. Things are going well here I hope they are with you too. I am looking forward to the weekend and hope to meet with some of my favorite folks. Today rather than offering something of my own I want to send you a copy of a list which was part of an article on leadership written by Colonel James E. Moschgat, then Commander of the 12th Operations Group, 12th Flying Training Wing, Randolph Air Force Base, Texas. My friend Shirley sent it to me a couple of years ago and I think it has great merit. We all would be better off if we followed the Colonel’s advice. Here is his list that is the result of his reflection on learning that Bill Crawford the squadron janitor when he was a cadet had been awarded the Congressional Medal of Honor during World War II. 2. 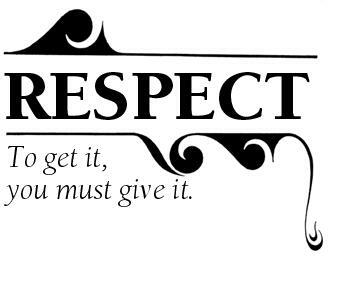 Everyone Deserves Respect. Because we hung the “janitor” label on Mr. Crawford, we often wrongly treated him with less respect than others around us. He deserved much more, and not just because he was a Medal of Honor winner. Bill deserved respect because he was a janitor, walked among us, and was a part of our team. 3. Courtesy Makes a Difference. Be courteous to all around you, regardless of rank or position. Military customs, as well as common courtesies, help bond a team. When our daily words to Mr. Crawford turned from perfunctory “hellos” to heartfelt greetings, his demeanor and personality outwardly changed. It made a difference for all of us. 4. Take Time to Know Your People. Life in the military is hectic, but that’s no excuse for not knowing the people you work for and with. For years a hero walked among us at the Academy and we never knew it. Who are the heroes that walk in your midst? 5. Anyone Can Be a Hero. Mr. Crawford certainly didn’t fit anyone’s standard definition of a hero. Moreover, he was just a private on the day he won his Medal. Don’t sell your people short, for any one of them may be the hero who rises to the occasion when duty calls. On the other hand, it’s easy to turn to your proven performers when the chips are down, but don’t ignore the rest of the team. Today’s rookie could and should be tomorrow’s superstar. 6. Leaders Should Be Humble. Most modern day heroes and some leaders are anything but humble, especially if you calibrate your “hero meter” on today’s athletic fields. End zone celebrations and self-aggrandizement are what we’ve come to expect from sports greats. Not Mr. Crawford-he was too busy working to celebrate his past heroics. Leaders would be well-served to do the same. 7. Life Won’t Always Hand You What You Think You Deserve. We in the military work hard and, dang it, we deserve recognition, right? However, sometimes you just have to persevere, even when accolades don’t come your way. Perhaps you weren’t nominated for junior officer or airman of the quarter as you thought you should – don’t let that stop you. 8. Don’t pursue glory; pursue excellence. Private Bill Crawford didn’t pursue glory; he did his duty and then swept floors for a living. No job is beneath a Leader. If Bill Crawford, a Medal of Honor winner, could clean latrines and smile, is there a job beneath your dignity? Think about it. 9. Pursue Excellence. No matter what task life hands you, do it well. Dr. Martin Luther King said, “If life makes you a street sweeper, be the best street sweeper you can be.” Mr. Crawford modeled that philosophy and helped make our dormitory area a home. 10. Life is a Leadership Laboratory. All too often we look to some school or PME class to teach us about leadership when, in fact, life is a leadership laboratory. Those you meet everyday will teach you enduring lessons if you just take time to stop, look and listen. I spent four years at the Air Force Academy, took dozens of classes, read hundreds of books, and met thousands of great people. I gleaned leadership skills from all of them, but one of the people I remember most is Mr. Bill Crawford and the lessons he unknowingly taught. Don’t miss your opportunity to learn.